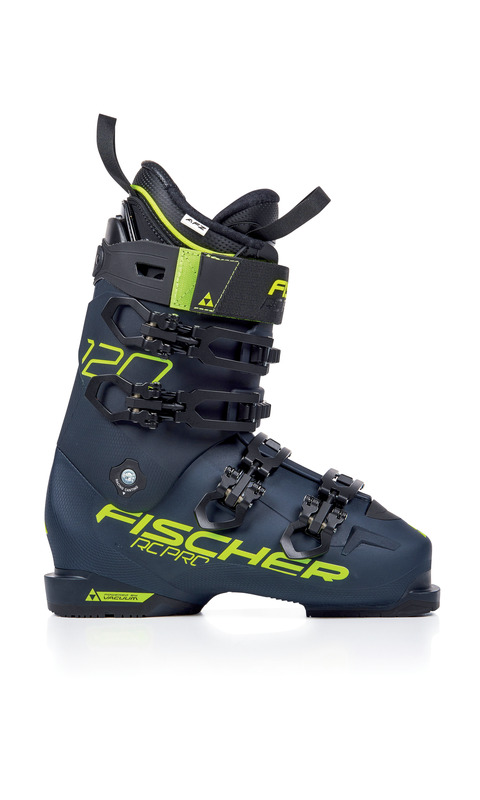 - FISCHER RC PRO - DUREZZA 120 RC PRO 120 PBV Active Fit Zones 3-D liner for fit, efficiency, and feedback between foot and bootExchangeable rubber sole for safe walking and standing Article no. :U08318Liner:new Liner CURVyellowneon pipingColor:dark blue/ dark blueLast by 26.5 MP:100mm +5mmSizes:25,5 / 26,5 ... 30,5 powered by VACUUMPower ChassisAnti Slide SoleGripWalkSole ready A phenomenal blend of comfort and performance through the AFZ Liner with 3-D shape that closely fits your foot even while in motion. The liners Power Zone transfers power to the outer boot for optimum control. Forefoot fit is comfortable yet secure. 100% Seamless Tongue Active Fit Zones Liner -RC Pro Pressure Reducing Tongue VACU-PLAST Spoiler La misura deve essere selezionata nel men a tendina sottostante.